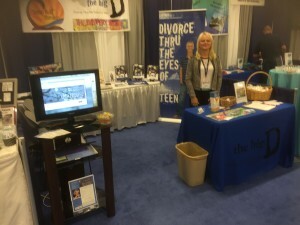 I just finished an awesome week at the AACC conference in Nashville, TN. It was a great time to: reconnect with some friends, see what’s new out there, refocus on my passion, redefine my purpose and gain encouragement and support from other ministry partners who share my passion and goals in life. 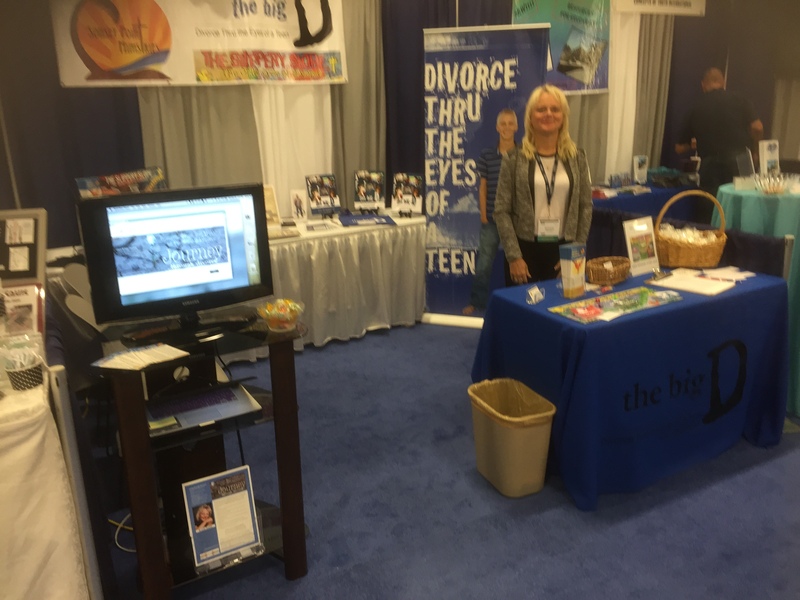 At the same time I was able to share what God has been doing through The Big D, Slippery Slope games and introduce the Journey Through Divorce website. It was a busy week with 4 full days of sharing smiles, shaking hands, meeting new friends, networking with others, learning new information, standing on my feet and most importantly bringing hope and healing to families of divorce. As I look back at my list I could feel rather overwhelmed. The need is so great and yet it feels as if there is so little time. I challenge you to join me in the mission to save our families. 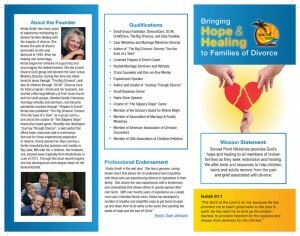 If your church has a recovery ministry please give them information on The Big D. Get the Slippery Slope game into the hands of all families who are experiencing a separation or divorce. And invite friends, family and co-workers to check out this website to learn to grow through divorce and not let it control them.